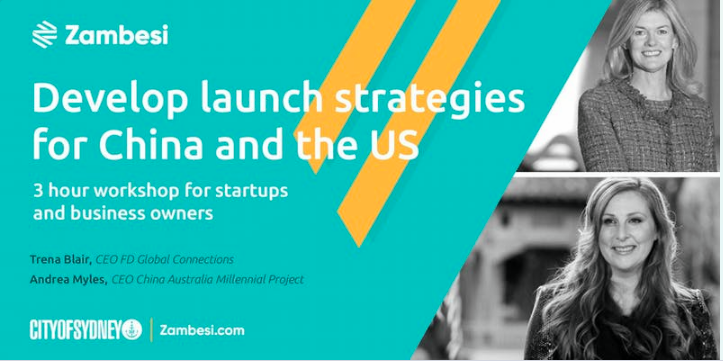 FD Global Connections will conduct a 3 hour workshop on 19th November, in conjunction with Andrea Myles, CEO Australia China Millennial Project on launch strategies for the USA and China. This workshop, sponsored by Zambesi and City of Sydney, offer a three-hour workshop to support business owners and startups learn to leverage the media to grow their business. This is a practical, hands on program and you’ll walk away with new skills and a plan you can implement immediately.